So, the expansion planned for the Wilmington campus is a timely project. There will be additional space, enlarged classrooms or career labs, two new high-bay structures suited for certain career programs, and an expanded cafeteria. 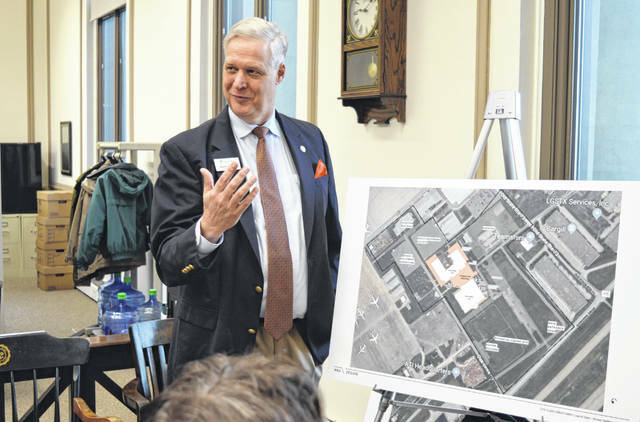 The new facilities will have a capacity of up to 700 students, Snyder said. The project is expected to take three years to complete. Rather than a groundbreaking, this June there will be what’s being called a lift-off, a nod to Laurel’s aviation maintenance technician program. Though they are still working out more firm numbers, the project is estimated to come with a $25 to $30 million price tag, the Great Oaks president said. High-bay structures have higher ceilings, so one of the new Laurel Oaks’ high-bay spaces will be utilized by the heavy equipment program. Snyder said the use of the second high-bay space has yet to be determined, with Oaks’ officials exploring various program options. An extra classroom/career lab may be used for a cyber security program, Snyder said. If so, it would complement Laurel’s current programs in computer networking, digital arts and design, and web applications. Accordingly, plans call for building a designated space that probably will be about 2.5 stories high. The tall space will be used to display aviation-related replicas built by students over time. Snyder anticipates replica gliders, replica bombers to represent the Air Force period, and replica Airborne Express jets. Replica drones (or, given some of their sizes, the real thing) could also be included. Already, Laurel students eat in an overflow area because the cafeteria is not large enough. To expand the cafeteria, the stage and auditorium will be taken out. The Laurel Oaks site is approximately 80 acres, while Great Oaks owns 120 acres total in this area, Snyder said. Schools districts affiliated with Laurel Oaks include four of Highland County’s five district including Fairfield, Greenfield, Hillsboro and Lynchburg-Clay; plus Blanchester, Clinton-Massie , East Clinton, Wilmington, Miami Trace and Washington.